MOCAP Vinyl Plastic Hanger Caps are tough yet flexible. The body of the hanger cap stretches just enough to apply, yet provide a strong hold and tight fit. 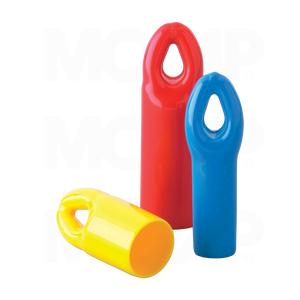 Unlike our other plastic caps, Vinyl hanger plastic caps include a durable moulded hanger at end. ​ Most stock sizes are available in Mini-Packs when Smaller Quantities are Needed. To place an order for this product, call 0800 856 2466 or use our Contact Request Form to receive information by e-mail.